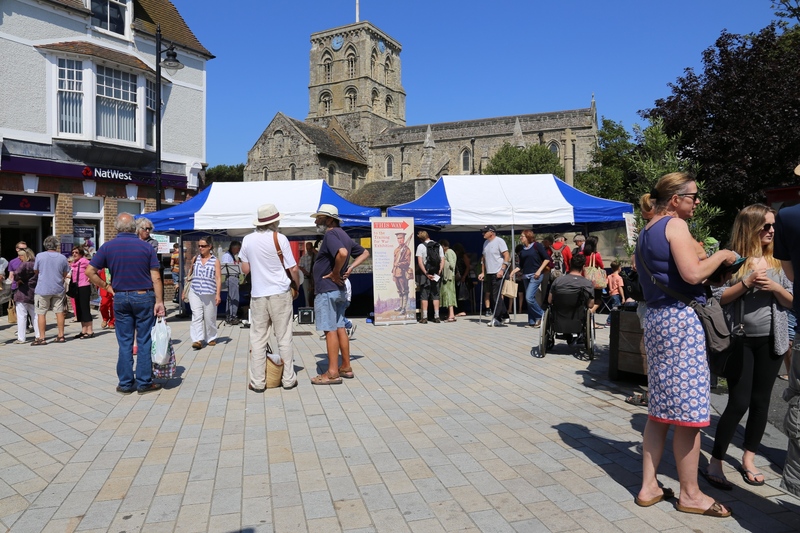 8th August: Curator Hamish MacGillivray, Project Coordinator Gail Mackintosh and volunteers Debbie and Nicola manned a pop-up exhibition at Shoreham Market – and what a lovely day it was. 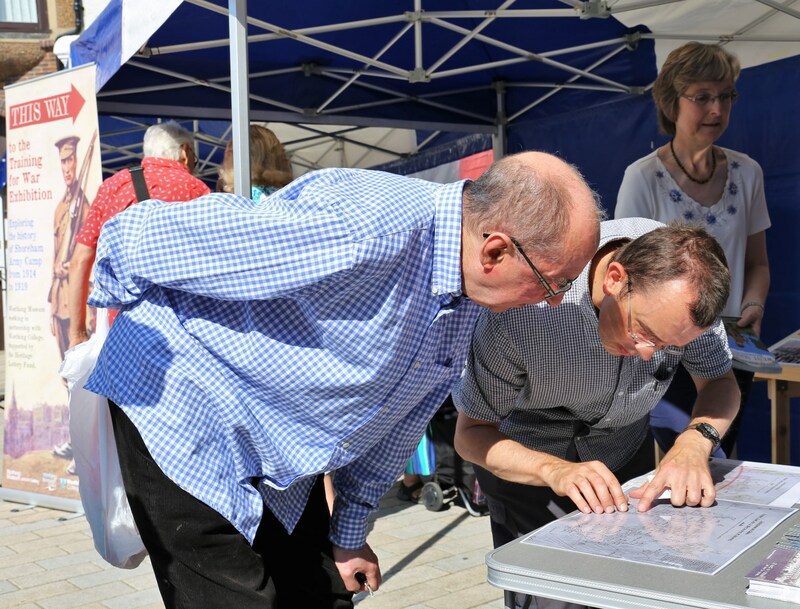 Our aim was to get the locals excited about the upcoming showing of our full exhibition at Marlipins Museum from the 2nd of September to the 3rd of October and for our walking tour on Friday 21st August. 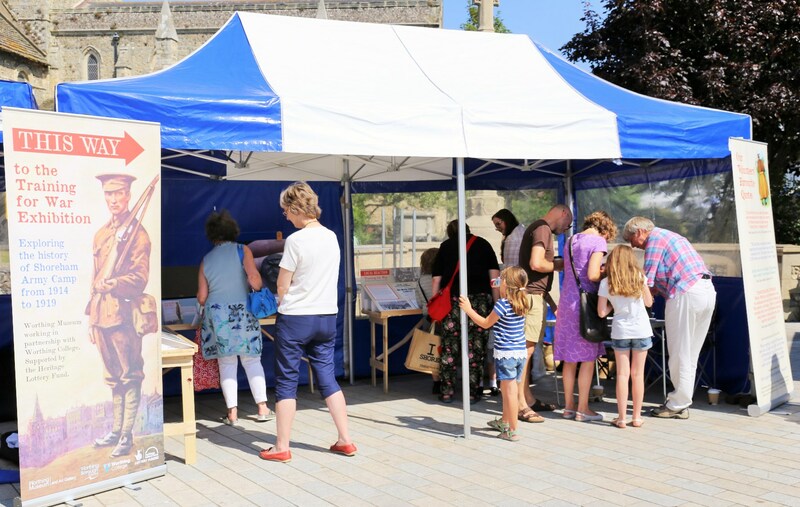 We brought with us some of our display panels showing our behind the scenes work and the local reaction to the Army Camp 100 years ago along with the British Pathe newsreel footage of a boxing match taking place in Camp. But what really drew people in were our maps showing the size of the Camp and where it is located on a modern map. It was really great the number of visitors who could point out which army hut would have been in their back garden. 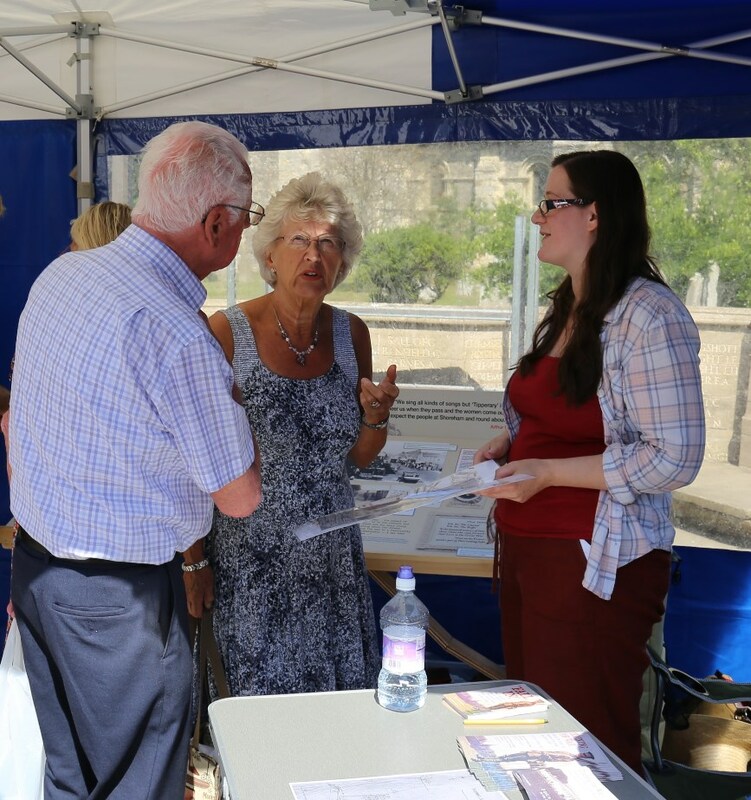 Whilst we had plenty of stories to share we were delighted to also hear stories from locals who knew a bit about the Camp already or had family who had trained there. 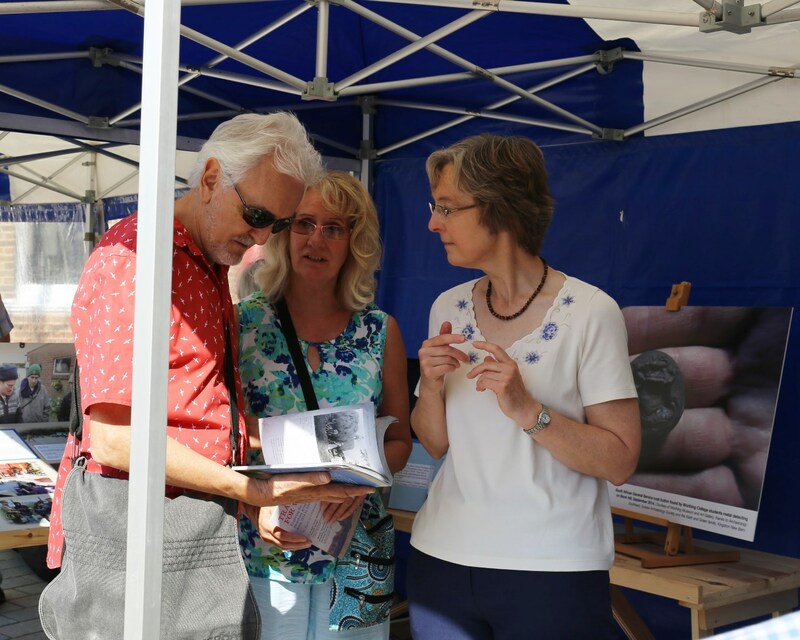 Many thanks to David Steadman who organised our space in the market, our dedicated volunteer researchers Nicola and Debbie, our volunteer photographer Janet and the many local people who made our Saturday very enjoyable. We hope to see plenty more on our walk on Friday and at the Marlipins Museum in September.